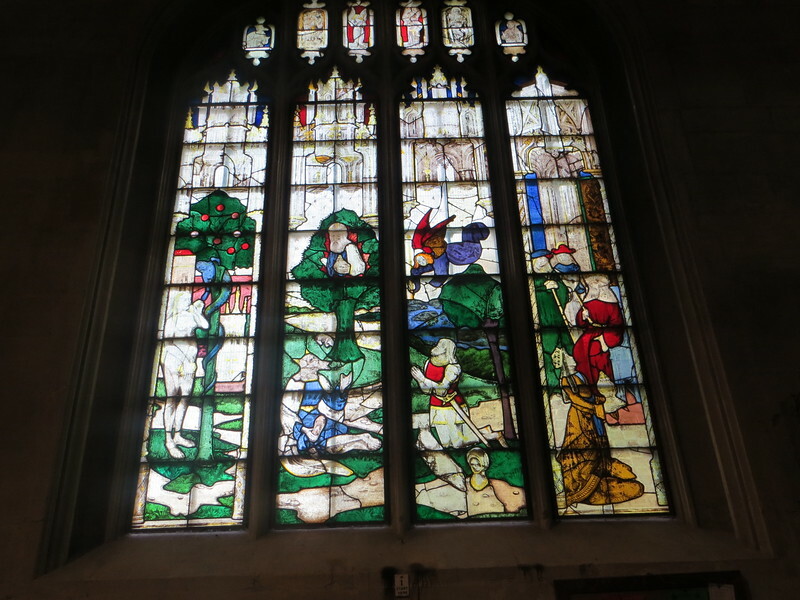 In an age when few people could read, and the Bible wasn't available in English anyway, stained glass windows performed the function of teaching people Bible stories. This window is called The Fall and has 4 parts, from left to right: Eve is taking the forbidden fruit from a blue (!) serpent; Moses sees God in the Burning Bush; Gideon and the Fleece; The Queen of Sheba is offering a silver casket to Solomon.